Zend Framework 2 is an open source framework for developing web applications and services using PHP 5.3+. Zend Framework 2 uses 100% object-oriented code and utilises most of the new features of PHP 5.3, namely namespaces, late static binding, lambda functions and closures. Vibora is a fast, asynchronous and elegant Python 3.6+ http client/server framework. Why do developers choose Zend Framework? Why do you like Zend Framework? 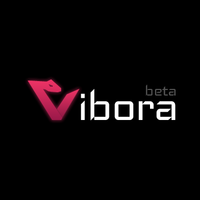 Why do developers choose Vibora? Why do you like Vibora? What are the cons of using Zend Framework? What are the cons of using Vibora? What companies use Zend Framework? What tools integrate with Zend Framework? What tools integrate with Vibora? What are some alternatives to .NET, Zend Framework, and Vibora? Zend framework is firstly designed for experienced professional developers, who have been part of international teams for years. With Zend Framework one could harness nuances of high scale eLearning, eCommerce and eBanking applications without fuss and implement robust, market demands meeting solutions. Zend Framework ships simple, without modules installed, so firstly to build up bare-bones for simple modular app, you will have to preinstall the set of GitHub hosted plugins and modules. Added to the mix, Microsoft is one of the main sponsors of the Zend Framework project, so your company would experience state of the art technologies mash up right away from the beginning of implementing theoretical application project to code stack. All in all, several international associations are awaiting you to enroll to enhance the experience of using Zend Framework 2. The older parts of our core are still using ZF1. We are migrating to simpler framework agnostic controllers with 3rd party components. used zend with working with a client for around a year.